Manufacturer & Trader of Zero Air Cylinders. Our product range also comprises of Industrial Gas Cylinders, Nitrogen Cryocans and Hospital Oxygen Cylinders. Our products are sourced from leading manufacturers as they hold expertise in domain. we assure our clients to deliver these products at market leading prices. One can get these products in committed time frame. We manufacture and supply a wide assortment of Zero Air Cylinders that are manufactured with optimum quality raw material to ensure high durability and smooth functionality. 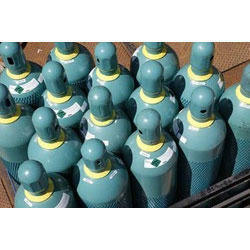 Available in different specifications, these zero air cylinders can also be customized as per the clients detail. Looking for Zero Air Cylinders ?